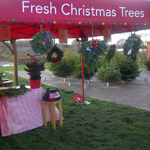 A quick note to say that this year we will be offering a full range of Christmas trees from early December. We are growing over 8000 trees on the farm – though most are a way off being ready, so we will be sourcing some locally grown trees in for this year. 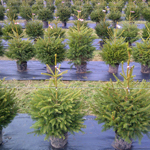 We also want to specialise in RENTING pot grown trees. If this interests you We are having a meet the grower day on Sat 27th Oct to see what it is all about. Also throughout half term we are giving you the opportunity to plant your own tree! We will label it and you can return each year and watch it grow, with the opportunity to buy or rent it when it is right for you!